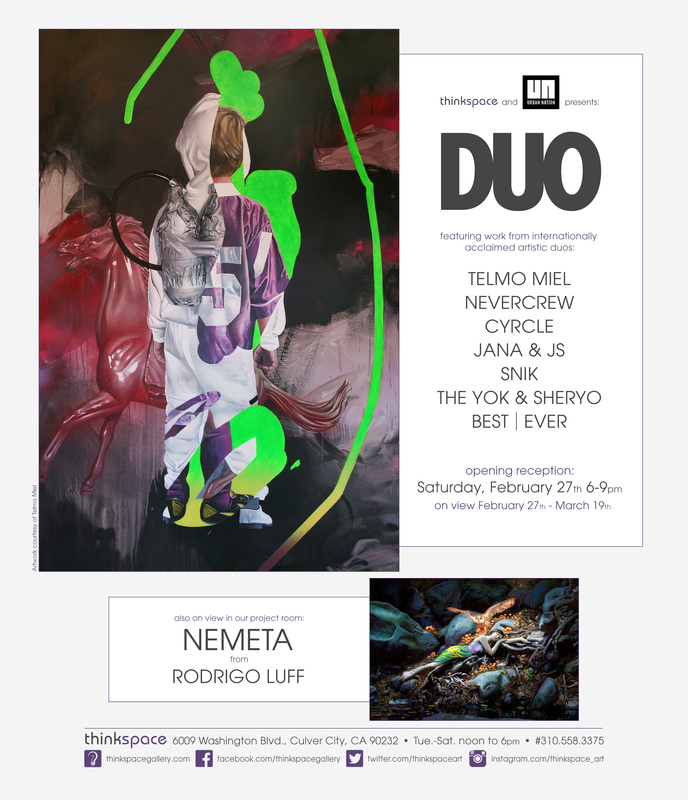 Thinkspace is pleased to present Nemeta, featuring new works by Rodrigo Luff in the project room. Originally born in San Salvador, El Salvador and now based in Sydney, Australia, Luff creates ethereal figurative works of women and nudes in beautiful dreamlike settings. 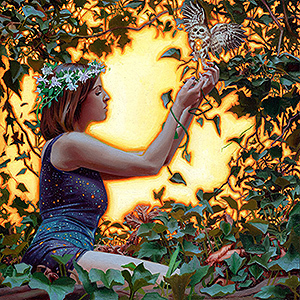 Inspired by Art Nouveau and turn of the century illustration, his works are ornate and lush, replete with elaborate references to the natural world. Working in color pencil, pastel, graphite, oil, and acrylic, Luff has honed his illustrative skills alongside his facility with painting media. His works are both linear and painterly, realistic and expressionistic. He explores a feeling of the otherworldly by capturing his subjects in trance-like dream states, suspended mysteriously in fairytale atmospheres. His nudes are often surrounded by kindly owls or other iridescent woodland creatures, and staged in forests or haunted woods. Luff’s palette is vibrant and his sense of light luminous. At times, his greens and yellows border on neon to exaggerate and deepen visual intensities. The contrasts in Luff’s work are dramatic and theatrical, and recall some aesthetic conventions of the Romantic period. Using chiaroscuro effects, and traditional figurative techniques, Luff creates a world that is simultaneously technical and surreal.